The Garhwal Himalayas are the most famous mountain range of Uttarakhand. The Himalayan Mountain ranges cover two locations here: Garhwal and Kumaon region. In this article we will describe how you can enjoy a short tour through the Garhwal Himalayas. First I would like to mention that there are many famous as well as beautiful locations exist here. And also, there are many famous travel routes you can find in this region. Here we will describe a tour plan which will cover four most sacred places of Garhwal region. Haridwar is commonly known as the gateway of Garhwal Himalayas. So, it is best to start your tour from Haridwar. Haridwar is well connected by trains or buses from every cities of India. There are numerous trains available you can catch any one of them or else you can avail luxury bus services from any metro cities to Haridwar. In Haridwar, you can stay at the Hotel of Garhwal Vikas Nigam. Otherwise, there are many other private hotels of different room rents, scattered among the city. You can board any one of them. At Haridwar you can visit Kankhal, Manasha Mountain and famous Har Ki Pauri ghat on river Ganges. 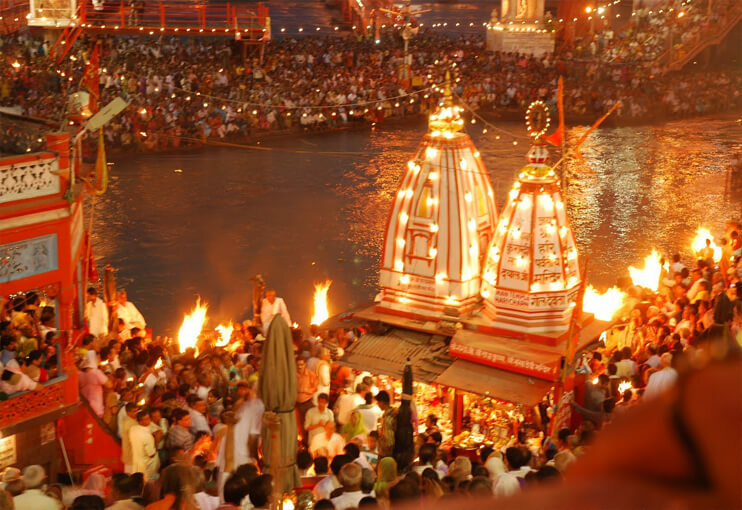 In the evening, the glorious Arti of river Ganges at Har Ki pauri ghat is a must see. 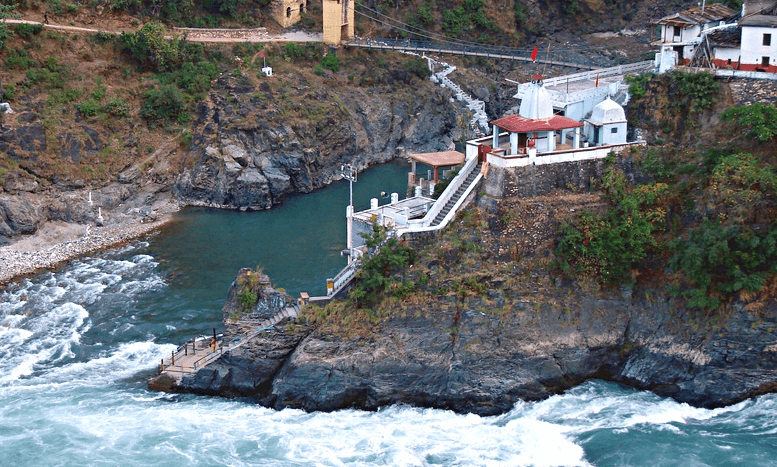 Next place to visit during this tour is Rudraprayag. From Haridwar you can go to Rudraprayag via Hrishikesh and Devprayag. Devprayag is one of the Panch Prayag, i.e, five confluences of river Alaknanda. It is the confluence of Alaknanda and Bhagirathi rivers and from this point this river takes the name Ganga. 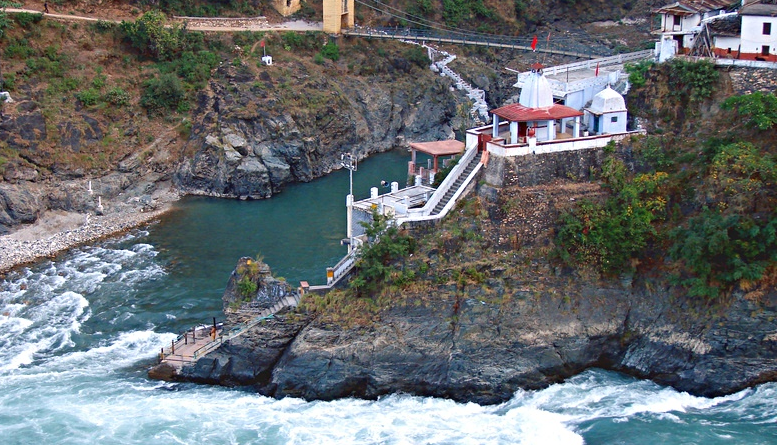 Rudraprayag is also one of the Panch Prayags of Alaknanda. Here Alaknanda meets river Mandakini. By air you can reach Rudraprayag via Dehradun. The Jolly Grant airport of Dehradun is the nearest airport of Rudraprayag. The distance is 183Km. Nearest railway station is Hrishikesh . Rudraprayag is situated on national Highway NH 58. So, it is well connected by road also. There are many standard hotels and dharmshala available here. At the confluences of Alaknanda and Mandakini there are two beautiful temples. 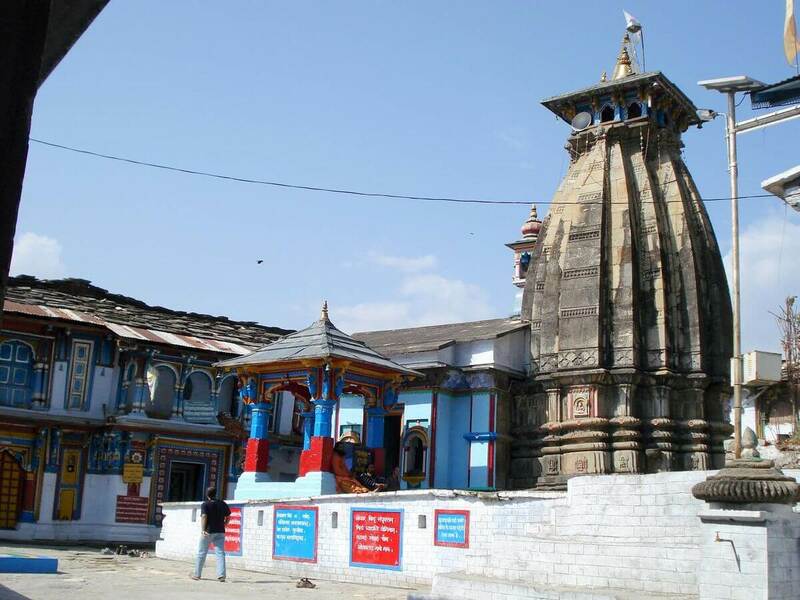 One is the temple of Rudranath (Lord Shiva) and the other is Chamunda Devi temple. According to legend, Narada worshipped Lord Shiva here to learn music from him. The place is named after Lord Shiva. Kartik Swami Temple: This is a temple dedicated to the son of Lord Shiva, Lord Katikya. You can enjoy the beauty of snow capped Himalayan Mountains from this temple. Rudraprayag is also famous for the legendary man eating Leopard of Rudraprayag which was hunted by famous Jim Corbett. Next place to visit is Ukhimath. The distance of Ukhimath from Rudraprayag is 41Km. During winters, the idols of Kedarnath and Madmaheswar temples are brought here and worshipped for six months. Now you can avail many luxurious hotels and guest house at Ukhimath. There are two famous temples of Lord Shiva located here, Madmaheswar temple and Tunganath temple. If you enjoy trekking, then it is a must see spot for you. You can take a cab from Ukhimath up to Sari village. From there you can trek 3Km to reach Deoria Tal. Or you can simply trek 7km from Ukhimath to reach Dearia Tal. 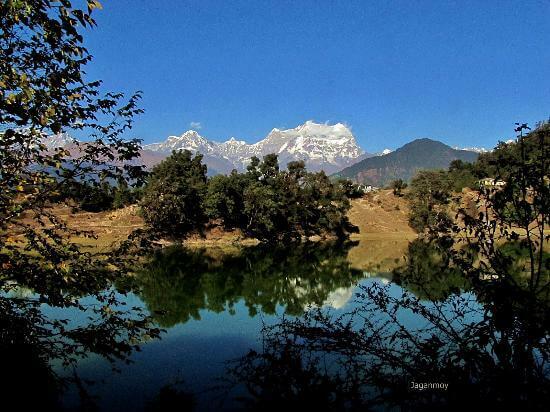 Deoria Tal is a beautiful lake surrounded by Himalayan Mountains. Most famous peak which you can enjoy here is Chaukhamba. From Deoria Tal you can again come back to Haridwar for night stay.